Hwy 101 mile marker 157. 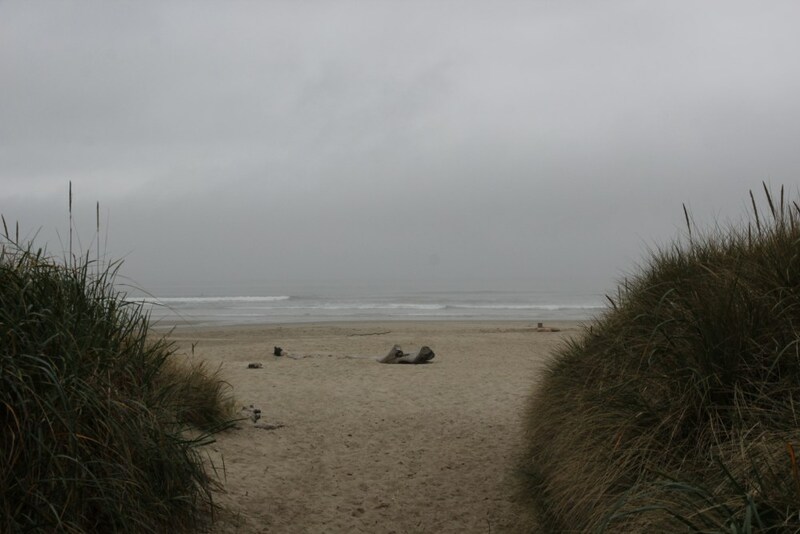 Governor Patterson State Recreational site offers access to several miles of beach. 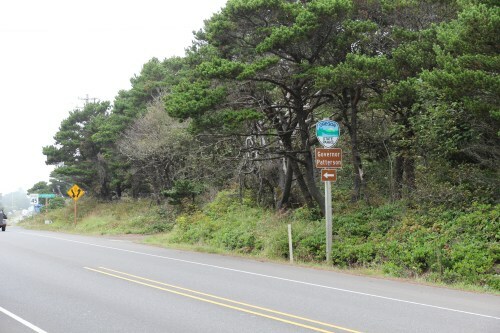 The site is located just to the South of Waldport. 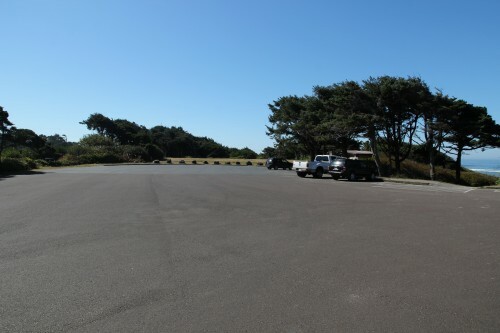 Oregon Parks link:Gov Patterson SRS No fee required. Some photos taken at Governer Patterson Rec area. 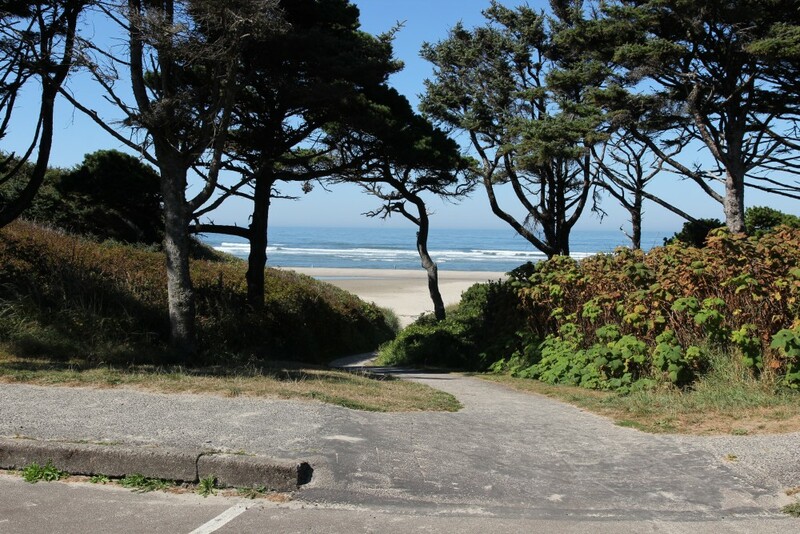 This path through the trees and sea plants leads to the beach. A view, framed by sea plants, just as you are about to step out into the beach.